Richelle grew up in Greensburg, PA where she fell in love with dance. She began dancing at the age of 3 and has continued her studies in Jazz, Ballet, Tap, Hip Hop, Lyrical, Contemporary, Modern, Point, Musical Theater and Arco. Richelle actually attended the Seton Hill University Dance Academy when she was a student and is so excited to be back at her old stopping grounds again. Throughout her youth she aspired to pursue a career in dance. Richelle graduated from La Roche College with a Bachelor’s Degree in Business Management and a minor in Performing Arts and Marketing. She has also attended and completed Grade 1 of Dance Master of America's teacher training school. She has received training from choreographers such as Mia Michaels, Frank Hatchett, Tyce DiOrio, Dee Caspary and more. This is Richelle's 5th year Teaching at Seton Hill but she has been teaching for over 10 years to children of all ages. Richelle danced professionally for two years as a Spark on the Pittsburgh Powers Arena Footballs dance team at Consol Energy Center. Richelle is a proud member of Dance Masters of America Chapter 46 Great Lakes Regional Dance Masters. 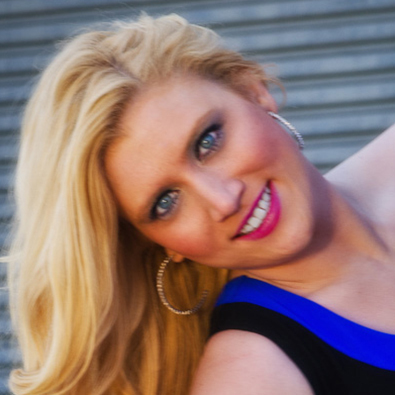 Richelle recently became a member of Dance Educators of America. Ever since Richelle was young she had such a passion for dancing and its her goal to pass on that passion she had to the next generation. She loves instructing young dance enthusiasts with the same passion she herself enjoyed while growing up. Richelle feels that there is nothing better than when a student comes up to her and expresses how when they grow up they want to be just like her.